onne is the north-western quarter of Burgundy. After the French revolution, in 1790, when the departements were formed Yonne was pieced together from the Tonnerrois, the Sénonais, the Auxerrois, the Avalonnais and Puisaye. To the northeast Yonne borders to Aube, to the northwest it’s Seine-et-Marne, to the west Loiret, to the south Nièvre and to the east Côte d’Or. Up here you find towns such as Auxerre and Sens. In Vézelay you find the impressive Basilique Ste-Madeleine, a 12th-century monastic church described as a masterpiece of Burgundian Romanesque art and architecture. Since 1979 it is part of UNESCO's World Heritage. The departement takes its name from the river of the same name. 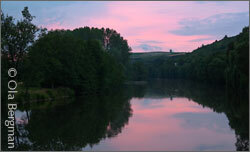 The river Yonne rises near Chateau-Chinon, flows through Clamecy, Auxerre, Joigny and Sens before entering the Seine, about 273 kilometres from its source. Before the phylloxera, in the 19th century, this was the largest wine-producing area in France. 36000 ha were under vines, a vast area compared to the 6000 ha of today. In his book “Yonne” Victor Adolphe Malte-Brun (1816–1889) tells us that from 1877 to 1880 production dropped from 2 802 853 hectoltres of wine to 194 755 hectolitres. 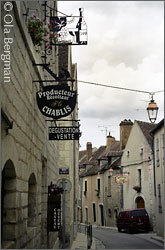 Chablis is of course the most well known vignoble. Tonnerre is the most recent to receive an appellation of its own. And the Grand Auxerrois has many different appellations – and less known grape varieties – to discover. There is the the césar in the Irancy wines, the sauvignon blanc in the Saint-Bris wines and the very rare sacy in some white wines. Just south of Auxerre, along the Yonne, is the appellation Bourgogne Côtes d’Auxerre. Throughout the communes of Augy, Saint-Bris-le-Vineux, Auxerre, Vaux, Champs-sur-Yonne, Quenne and Vincelottes 193 hectares are covered with vines – 60 per cent pinot noir and 40 per cent chardonnay. 28 kilometres north of Auxerre is a tiny vignoble centered around Joigny, a small town with with some 11 000 inhabitants. Slightly more than twelve hectares make up the appelltion Bourgogne Côte Saint-Jacques. Most of it is pinot noir and pinot gris. Chardonnay only accounts for 0.42 hectares. Around Vézelay is another of Burgundy’s lesser-know appellations – Bourgogne Vézelay. It is four times the size of Bourgogne Côte Saint-Jacques and only applies to chardonnay grown in the communes of Vézelay, Asquins, Saint-Père and Tharoiseau.